Can organic chicken drumsticks be healthy? The answer is yes. 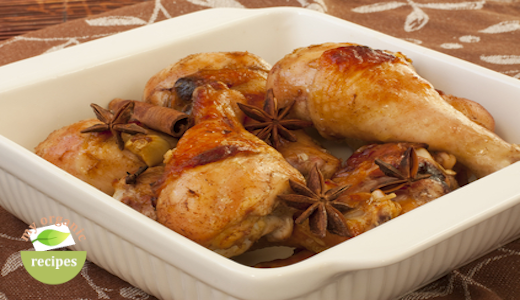 To reduce the calories and saturated fat in this dish, skin the chicken legs before scoring them. Soy sauce and mustard makes a crispy skin and very tender chicken. In a big bowl, mix the ginger, soy sauce, mustard and olive oil and add the chicken drumsticks. Combine well all the ingredients , cover the bowl and place in the refrigerator for 20-30 minutes. Arrange the chicken drumsticks on a foil- lined baking sheet and bake for 1 hour. Garnish with star anise and serve with fried brown rice and broccoli.